In my mind, a martini should be made with gin, and a little vermouth to temper it. I have made vodka martinis before but I tend not to drink them very often. I had a lovely spicy/dirty vodka martini in an oyster bar in New York once, and a nice basil and chilli vodka martini in London, but ultimately my favourite is the classic gin martini, or a “Thameside Malt” as my dad calls them, on account of the fact that I managed to convert him from his love of malt whiskies to actually prefer a martini as his favourite drink. To this day I still consider this conversion as one of my greatest ever achievements. When it comes to picking the gin, everyone has their own taste, but I genuinely prefer cheaper brands because they tend not to be as floral. Nicer gins are often too flavoursome, which I don’t think works very well with the vermouth. On special occasions I like the export brand of a certain kind of gin with the yellow and red label (am I allowed to say the brand?). 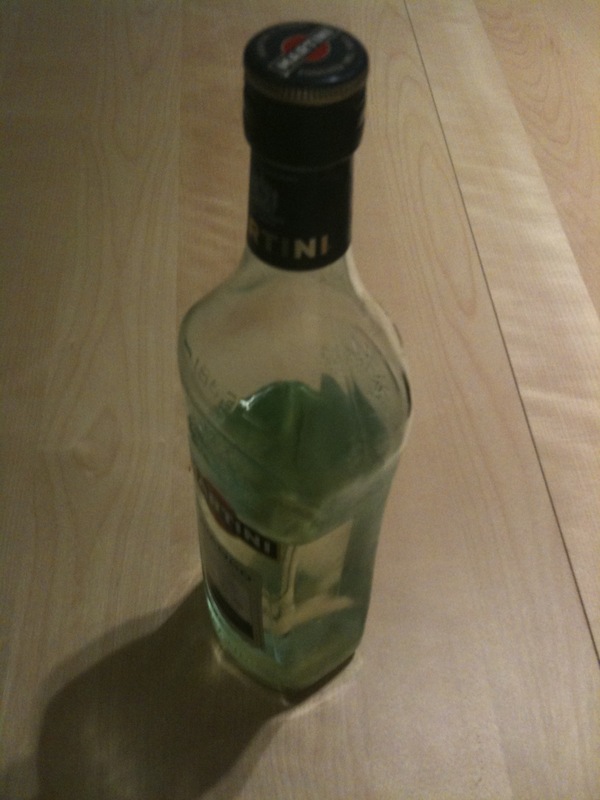 A certain green coloured bottle is also good (I think Amy Winehouse sang about it once). Otherwise I openly admit to normally making martinis with the shops own brand of gin. The vermouth, in my opinion, should be sweet. If you like a dry martini just limit the amount of vermouth you put in. Like the glasses, the gin should be stored in the freezer, but the vermouth should be stored in the fridge. 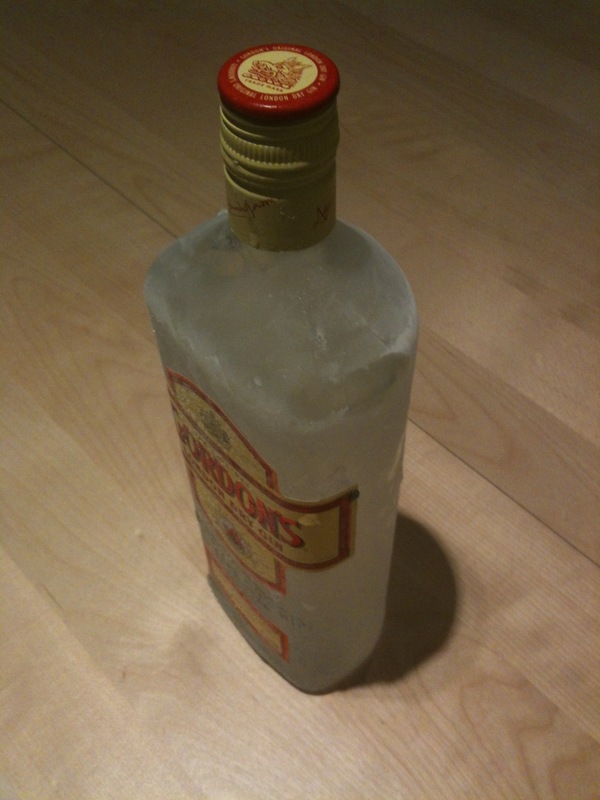 This entry was posted in How to make a martini by themartinidiary. Bookmark the permalink.